For sale. Large property with plenty of parking. 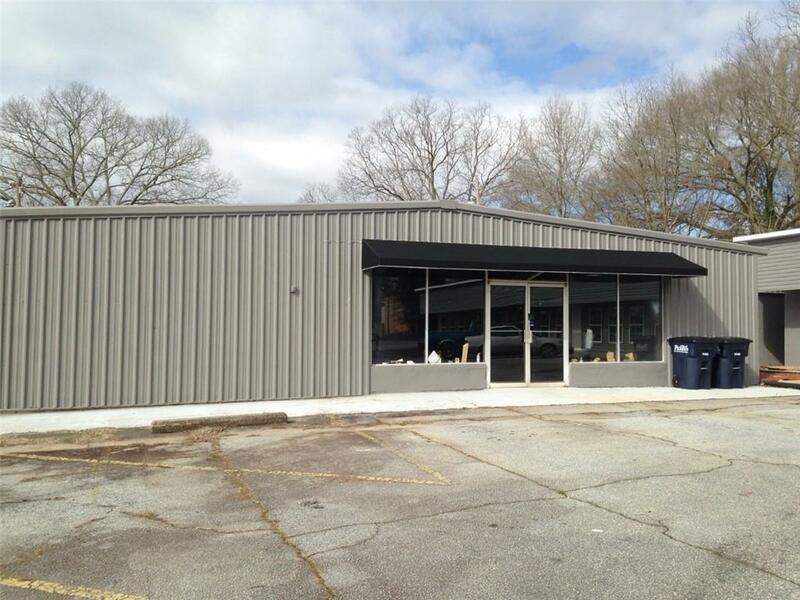 3500+ sqft bldg with new flooring, paint, hvac, kitchenette, and 2 bathrooms. Also includes multiple double door entries.Second building is a long strip mall that will be built out as 4 commercial units. New roof and more!City of Pickens also has a Facade Grant Improvement program and Ecomomic Incentive Ordinance. A growing downtown with an outdoor amphitheater, doodle bike /walking trail, town creek mountain bike park and more.